Contains 10 fat quarters and is 100% cotton. By Benartex by Nancy Halvorsen Collection. 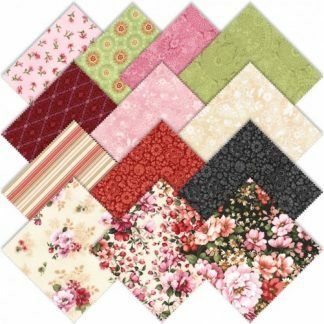 Using precuts like this one can take some of the work out of quilting! 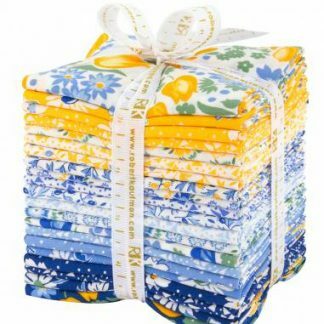 Start with one of this bundle from the Nancy Halvorsen Collection and you will have a finished quilt in no time! Pair it with a yard or two of blender fabric and you have a simple and fast quilt with almost no cutting. 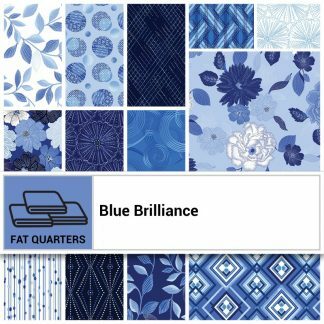 That summer quilt you’ve wanted for a picnic in the park will be the envy of everyone there when they see this aqua fat quarter pattern!